Discover that church is for the sheep and not the shepherd. Enjoy release from the lethargy of ritual, and witness the activity of the unchanging God in His ever-changing world. Explore the arena that is Christendom and understand the real place of His Son. Grasp the false longings of His Bride while Jesus steps out of the arena to where He is still welcomed. Finally sip Jesus' new wine for He always leaves the best until last. 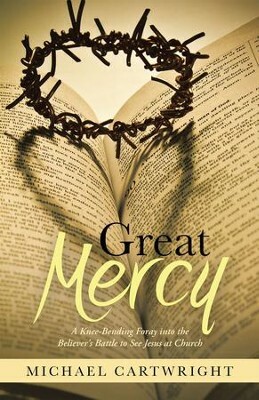 I'm the author/artist and I want to review Great Mercy: A Knee-Bending Foray into the Believer's Battle to See Jesus at Church - eBook.